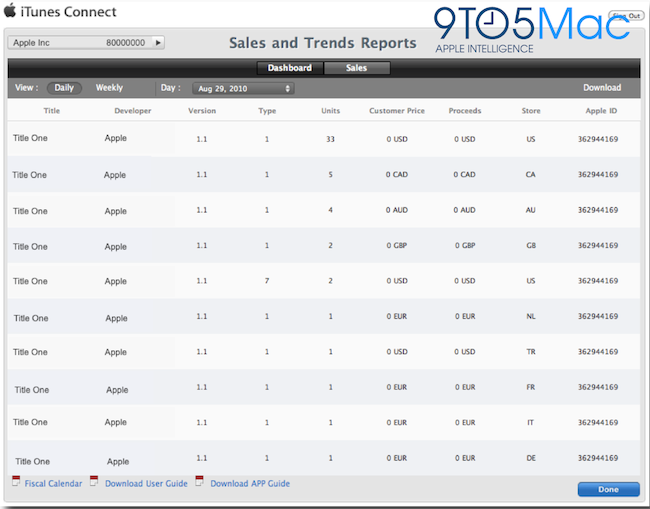 Apple has just completely revamped their daily app sales reporting tool for developers. This tool has several new features, a modernized user interface, and is very intuitive. The new main dashboard has large graphs and new charts. The graph shows your app sales figures either in a daily or weekly view for paid or free downloads. You can even even choose any day from the last two weeks for display on the graph (The last 14 weeks too). 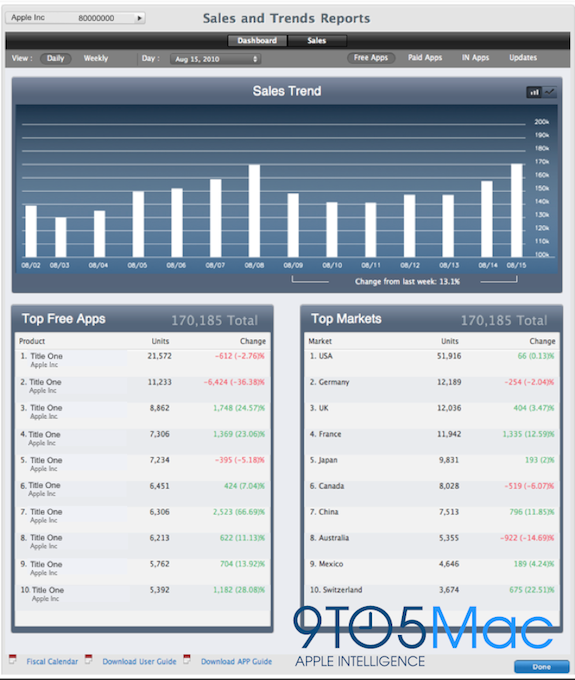 The charts dictate your app sales statistics in the top 10 regions where your app is on sale and also displays unit sales per app per day. Percent and unit change is also shown so you can compare your daily figures. Other categories of statistics include in-app-purchases and app updates. Overall, this is a fantastic new sales reporting tool for developers. The user interface is much cleaner, and developers have so much more control over the information they are seeing. Daily app sales comparison surely will come in handy for all developers, and the charts take your knowledge about your app sales to the next level.